This is a very soft and moist cake with a lovely coconut and banana flavour, as well a being gluten, processed sugar and dairy free. You will need a greased and lined loaf tin. I greased mine with organic coconut oil and my loaf tin was made of glass. Pre-heat your oven to 180 degrees celsius. Mix together the first six ingredients (all the moist ones). Add the dry ingredients and gently mix through. Pour into the baking dish and smooth the top with a spatula. You can place seeds or nuts on the top of the cake or leave it plain. Place into the oven and cook until golden. This cake is very moist so it needs to be cooked well. 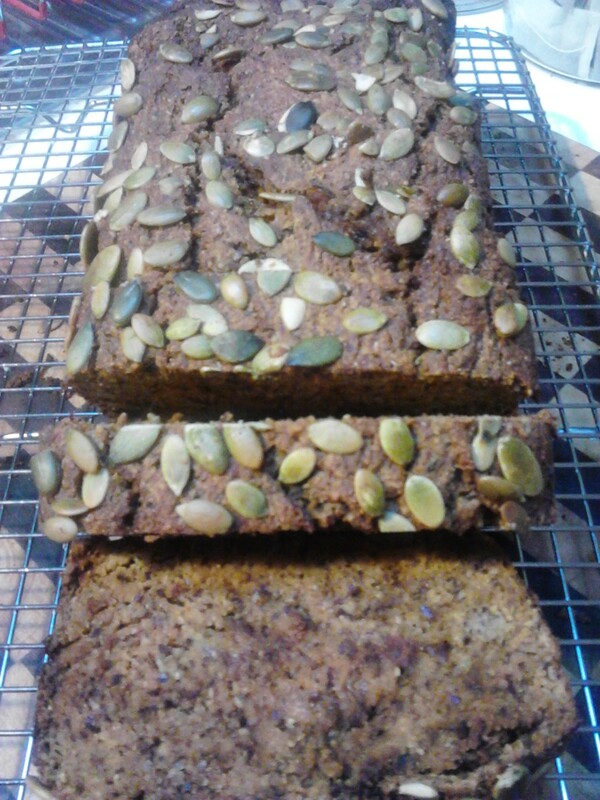 I let mine sit in the tin for a while when l took it out of the oven and let it cool on a rack before cutting.